3 ring Standard Llama Halter, has a fixed size nose band. The center ring for the lead clip is free to move from side to side. The down side is the size has little room for error when choosing. The advantage is ease of installing with the formed nose piece. Fixed ring (recommended) is the same as above with the center lead ring fixed to the throat latch for better control. 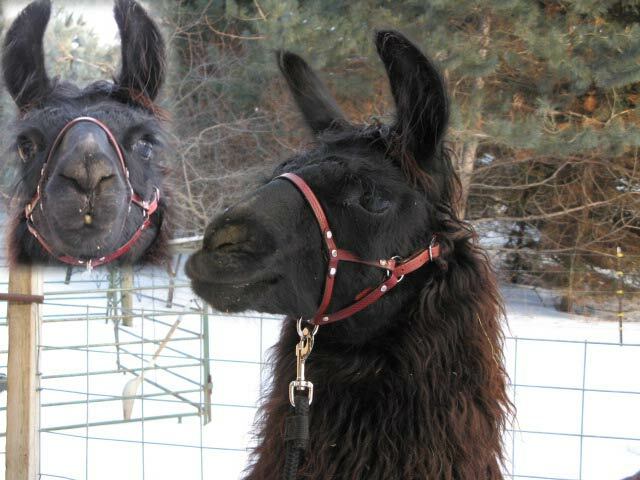 Generally , Llama halters with 3 rings are less forgiving in size but go over the nose with one hand. The 5 ring is size forgiving and usually takes two hands to put over the nose. The width can be 5/8 or 3/4 in most styles. Measure an existing halter or measure the llama’s nose in front of his eyes where the halter would be. Ideally a piece of Velcro strap can be used. Remove the strap and measure the inside circumference. Or fold in half, measure the inside top to bottom and double that measurement to get the nose size. You can use that method with existing halters too. Ideally the halter should allow your animal to chew their cud and yawn. 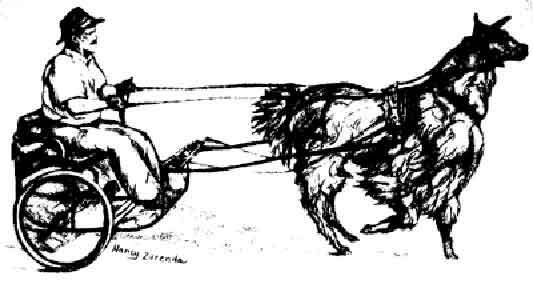 Be sure the halter does not slip down past the bone to cut off nostrils. Be aware not all vendors sizing is the same. Use my sizing model button for sizing. The hardware has nickel or chrome plating. We scrutinize all our hardware, all rings are welded. Leather llama products you have only seen for equine, are now made for llamas! My leather halters are the choice of the champions in the llama industry. The halters are standard 3 ring halters and X style. They have the same sizing as my nylon halters. The leather is tooled, dyed, and edged. Construction is bonded and riveted with nickel rivets. We use only soft and supple leathers. Optional Braiding, chrystals, chrome spots and diamonds available. Plain with creases has a very show look too. The halters are produced by me in our shop in Minnesota. Our leather halters will give you confidence and show you mean business in the show ring. They are also great for showcasing your llama at sales and parades. Adult 14 !/2" - 16 1/2"
Extra large 17" - 18"
Welcome to our llama halter store. All products are produced in my shop. Nylon halters are made with top quality nylon, leather halters are made with english bridle leather. Leather halters may take 3-4 days before shipping.